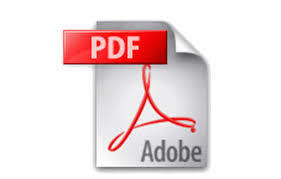 Having criticized the Israel Patent Office for not updating their web-based services and given the USPTO as an example where one can make on line payments that are registered in the system without requiring printing out and submitting on flexible, cellulose based media, it has come to my attention that the USPTO now even allows patent downloads a PDFs! Until now, one could print individual pages as TIFF files if one has a TIFF reader. Most people don’t. Patent Attorneys who sometimes do, having followed USPTO instructions for downloading a free TIFF reader, often still run into problems. Clients typically download patents as text from the USPTO and the ask me where they can obtain the figures from. Apart from paid services like Delphion, I usually go to Espacenet, but in many regards the USPTO website is more user-friendly. BTW – I read up this exciting development on Lotempio. Until the USPTO announcement that its patents are now in .pdf (I haven’t checked), my preference was Google patents.